This course is a half day course to give an awareness of good customer service. 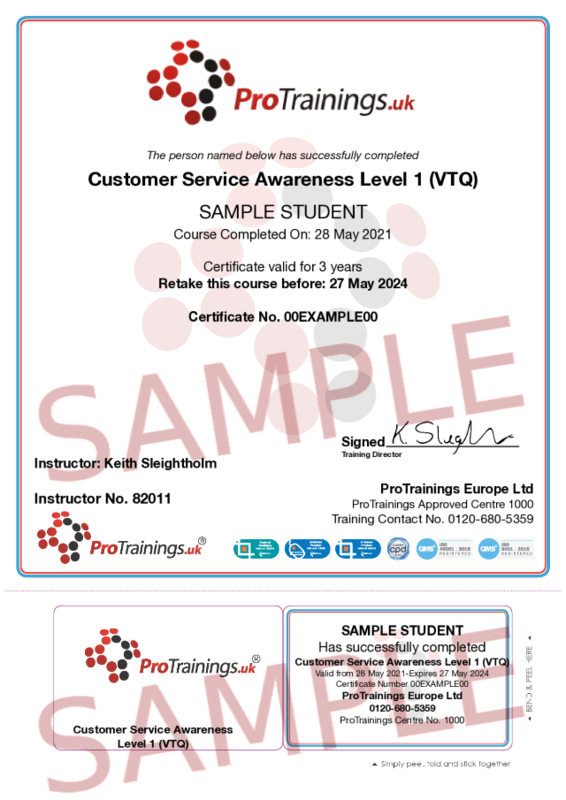 We also offer a full day Level 2 Customer Service course as a ProTrainings qualification. Understanding basic customer service techniques.